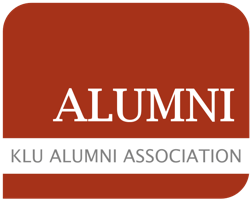 The Alumni Association is the network for alumni and sponsors of The KLU. As a network based on trust, the association enables its members to interact with other members of the network globally, with similar interests and needs. The alumni association members can keep in touch with friends, find new opportunities for business contacts, exchange professional knowledge and seek for career advice.